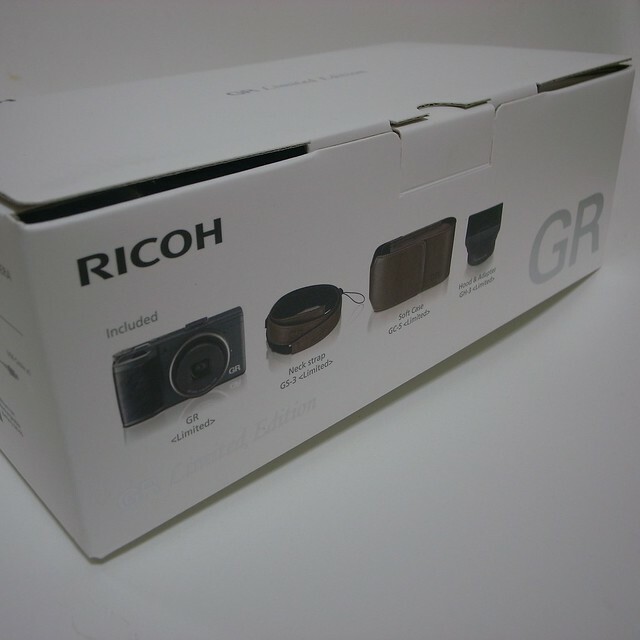 The Ricoh GR Limited Edition may seem a bit expensive upon first look, but it has many accessories as a package. If you bought all of the accessories along with the normal Ricoh GR, you would be paying almost the same amount of money. Therefore, if you have a need for the accessories that the GR Limited Edition package offers, you're essentially getting the cool green hammer-tone finished body, the limited colour leather accessories, and the other powder-like-finished accessories for free. Me, I wanted the different colours. The accessories are the leather case, hood (with the hood adapter), and the neckstrap. As you can see in the photo above, I decided to use the wrist strap I was using for the GRD2. 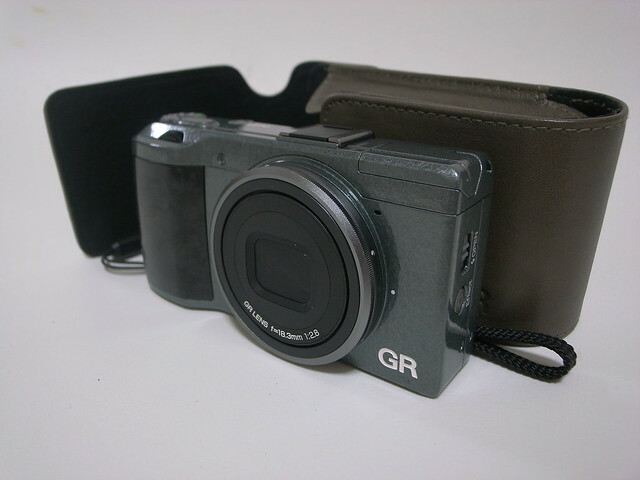 I really liked the feel of the neckstrap, so I am using it on my Ricoh GXR since it is a little bigger and it fits well. The light brown colour of the leather case is a more subdued brown and I feel it shifts to green rather than yellow or red, and complements the green hammer-tone colour of the camera body very well. I personally have not found a good use for the hood yet, as I feel that it takes away from the portability of the camera. It's a disappointing annoyance on my part since the surface finish of the hood and adapter are very nice, and again complements the textures of the camera body and the the leather case very well. Maybe I need to get used to the idea of the advantages of a hood and the possibilities of a hood adapter. All in all, I was planning to buy the accessories of the Limited Edition if I ever bought the new GR, so this was a good choice for me. Also, I do like the fact that there is only a limited number of these, and not everyone will have the same camera as myself. I don't know for sure if there are only 5000 sold worldwide like Ricoh says, but I know it is fewer than the mass produced cameras of the world. In a day and age where the performance of even the most basic point and shoot digital cameras are very good, it is nice to have features in a camera that stand out, albeit a potentially superficial one.